These are some of my personal projects over the years. I have a huge interest in lighting, rendering and 3d illustrations. 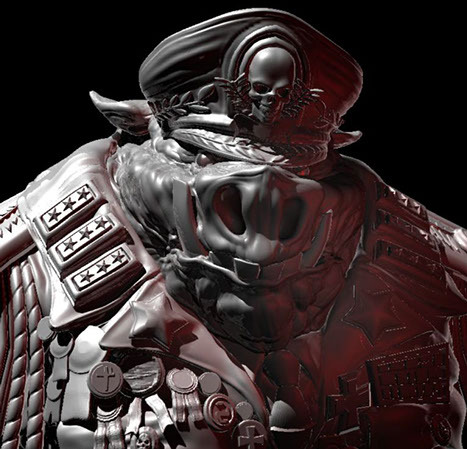 Also a passion for hi res zbrush modeling, organic or mechanical. 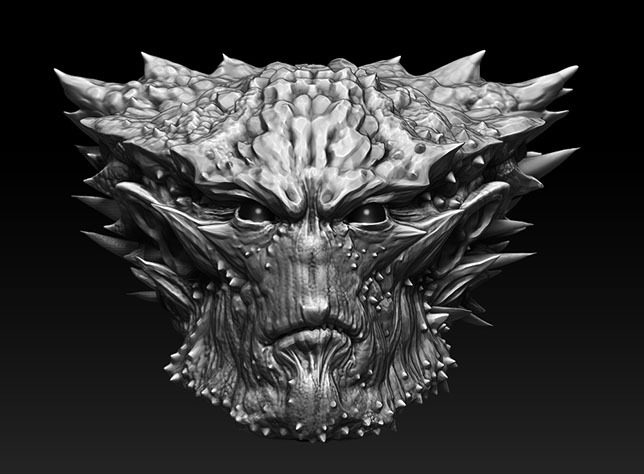 Personal Work: 3 eyed, alien creature-digital sculpture. 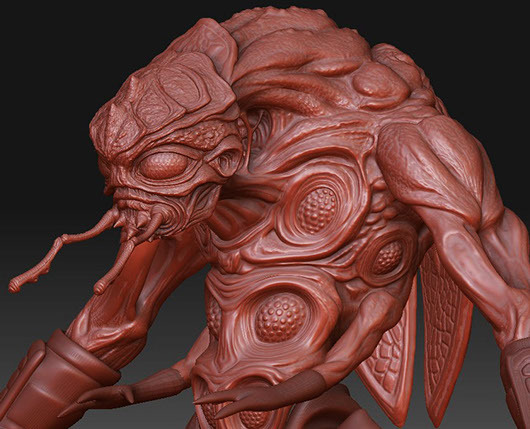 Personal Work: Old zbrush sculpture. 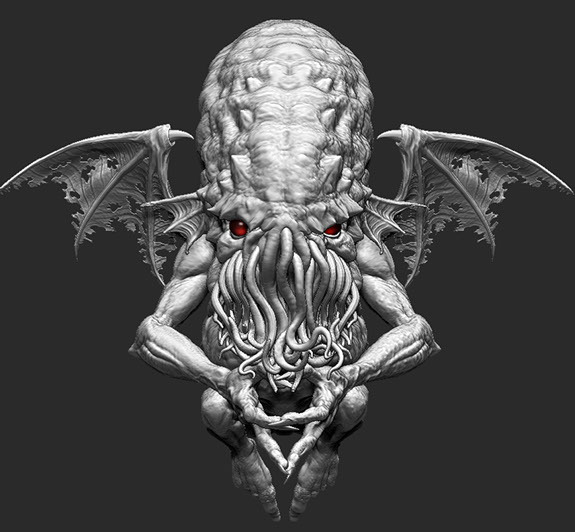 Personal Work: Cthulu model from the render layer illustration I was working on. 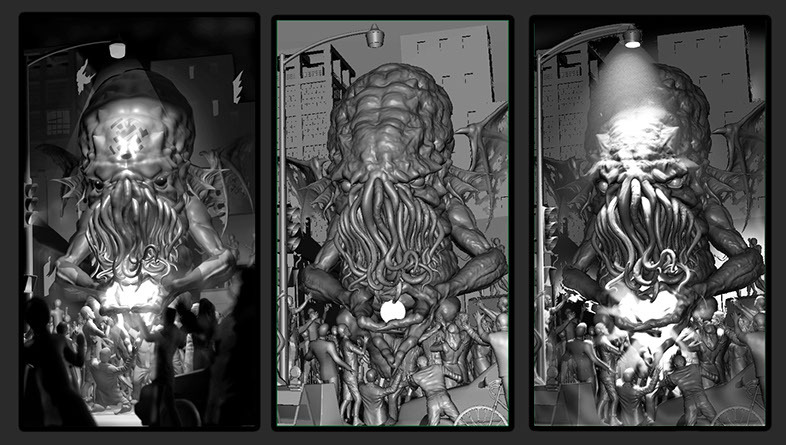 Personal Work: Comps of Cthulu illustration, trying to develop the lighting. 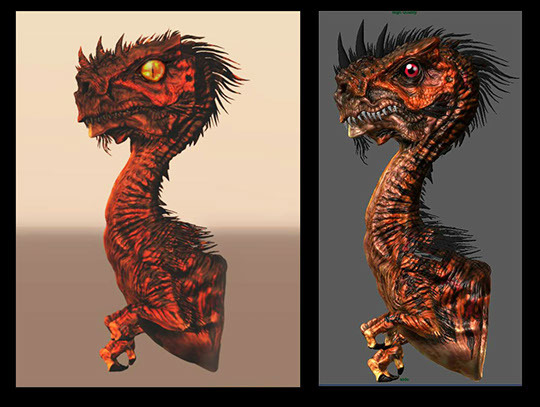 Personal Work: Random dinosaur sculpture with Global illumination render on the left. 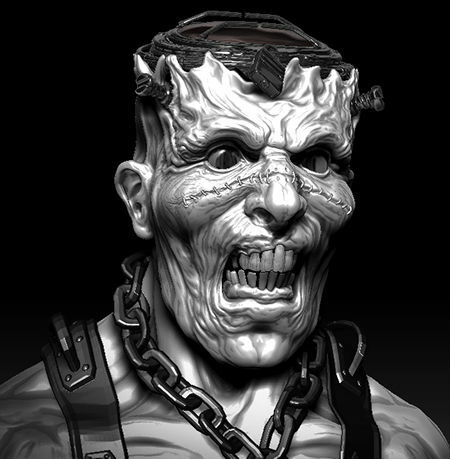 Personal Work: Frankenstein sculpture I was working on for a 3d Illustration. 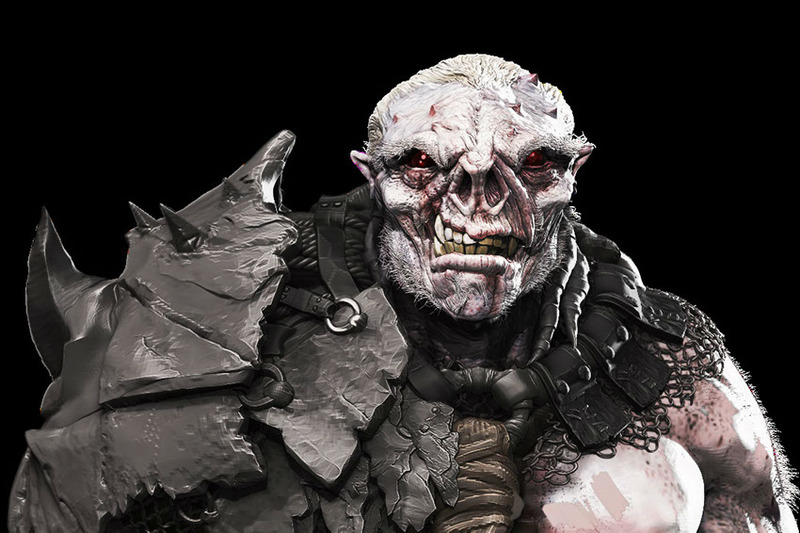 Personal Works: Zbrush sculpt of Ogre. 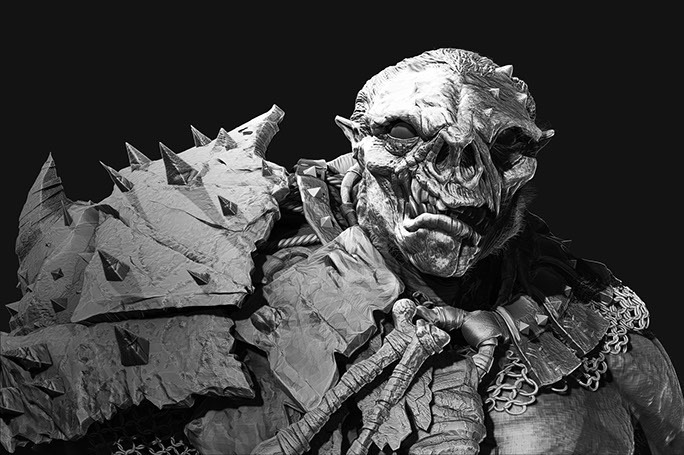 Personal Work: Black and white render layer for ogre illustration. Personal Work: This is my most current personal work. 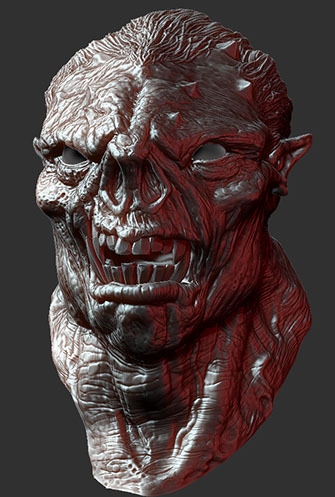 Many render layers added for the head. Still quite a few more to add and the final composition to tweak. This is the direction i want my personal work to go. 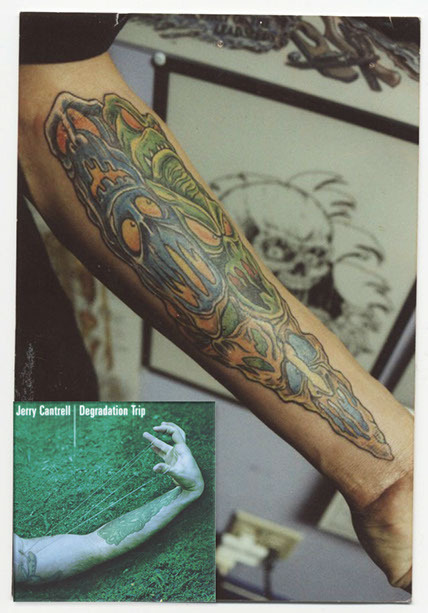 Personal Work: Tattoo I did on Jerry Cantrell of Alice in Chains. Very thrilled when I saw it on an album cover one day! 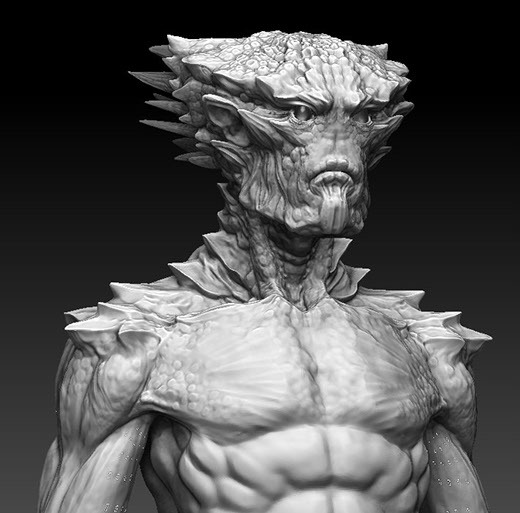 Personal Work: Early digital sculpture. 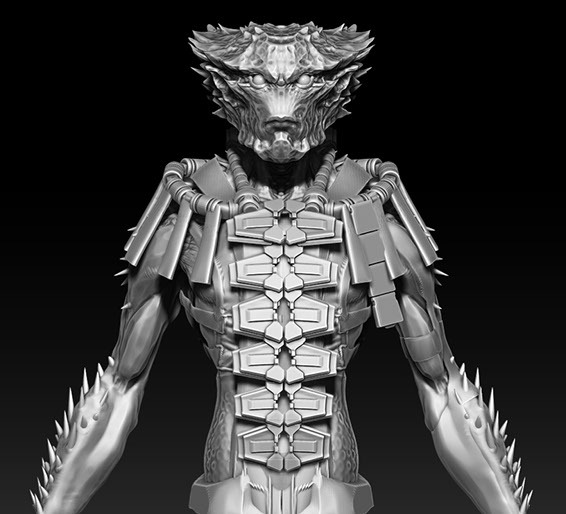 Personal Work: This was an experiment to add hard surface equipment to alien reptile creature. 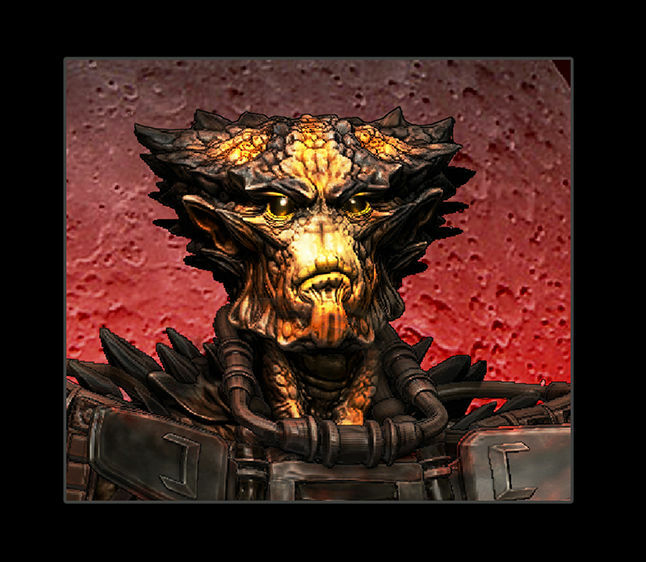 Personal Work: I wanted to push the alien reptile to a higer res renders with proper shaders. I bumped his head sculpture in resolution and added more detail. Personal Work: Color comp to explore color and skin patterns.